Our pop up goals are made of high-quality materials together with carefully selected manufacturing processes. With clever engineering the goals have a twist functionality, allowing you to easily set up the goals and fold them back together. 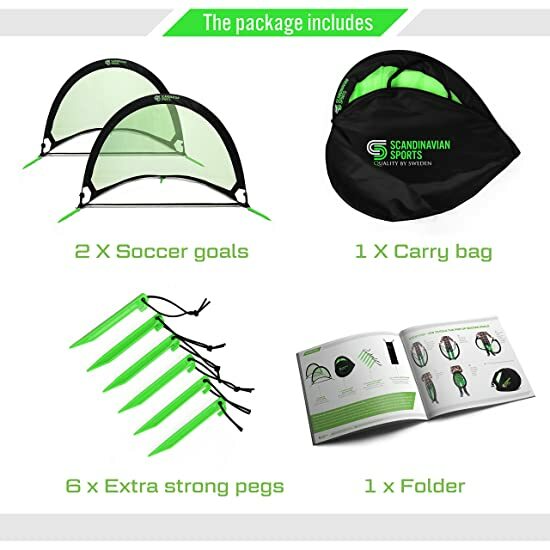 The pop up goals are very easy to transport so bring your goals to the park with your friends or to the beach during summer. 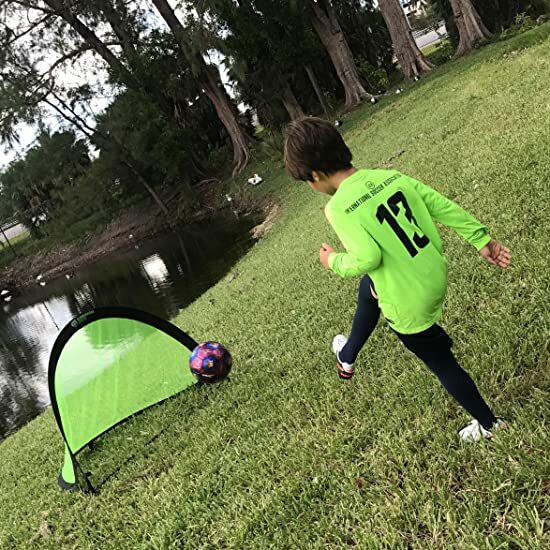 Set up the soccer goals in the backyard and let your kids play on their own or get together with your teammates and improve your soccer skills on your own terms! Click ADD TO CART today and take the next step to an active lifestyle! POP-UP SOCCER GOALS for instant use! 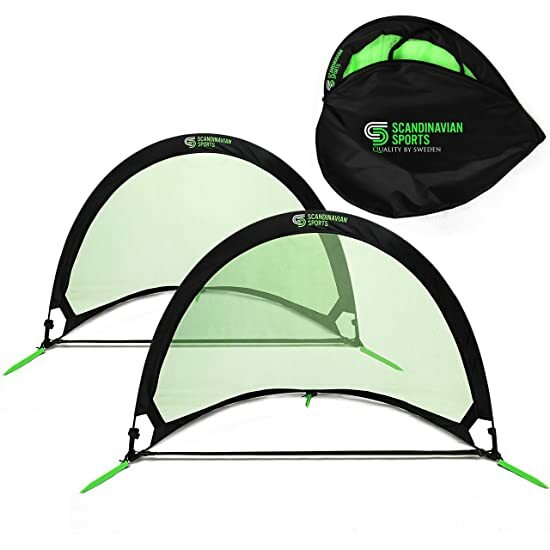 Pair of portable goals - for your toddlers and kids - easy to set up so they can play in the backyard. 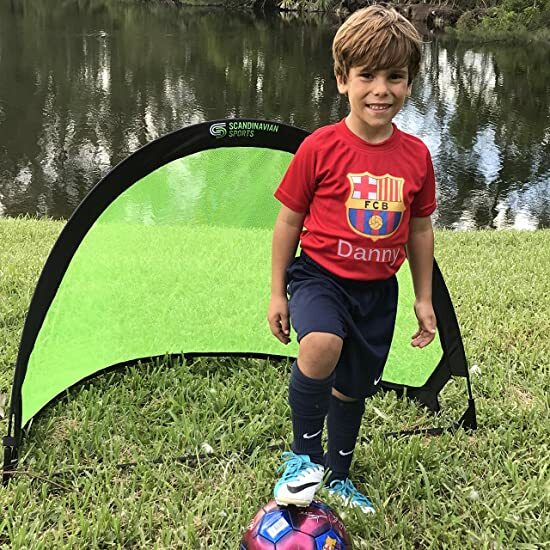 SOCCER TRAINING EQUIPMENT for anyone from young talents to today's soccer players that are looking for improving their soccer skills. 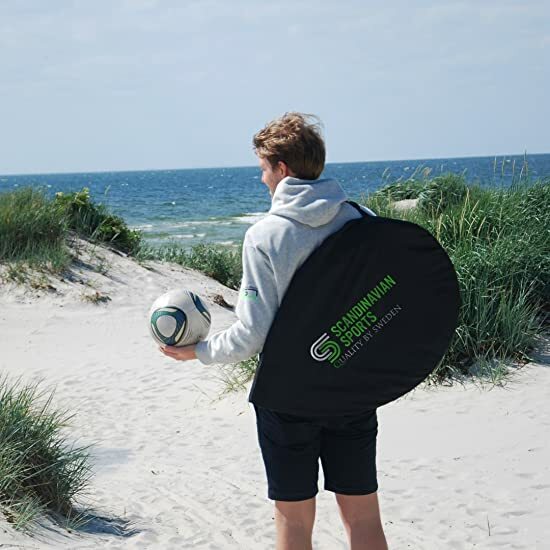 EASY TO TRANSPORT - gather your friends and head to the beach or meet up in the park nearby - just take out the portable goals from the bag and unfold the pop up goals and let the game begin. 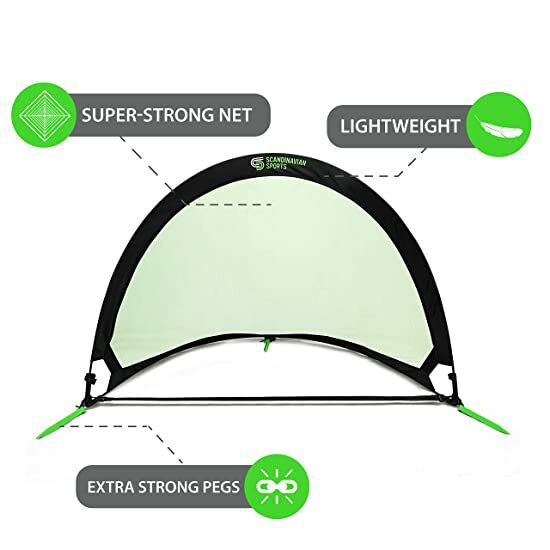 4 and 6 FEET POP UP GOALS - with clever engineering the soccer goals have a one-piece twist setup, allowing you to easily set up the goals and fold them back together. 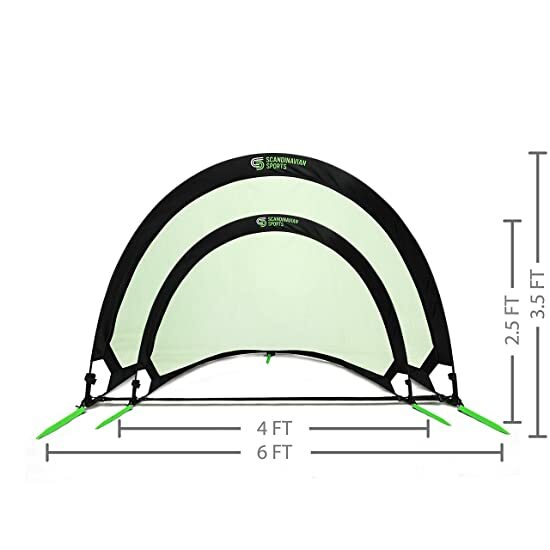 DURABLE, LIGHTWEIGHT and EASY TO SETUP - durable goals made of high-quality materials to hold in all kinds of weather conditions. no assembly required just setup these goals in literally seconds. Featuring ground stakes with elastic strings to ensure that the goals doesn't bounce away. Really easy to carry around the goals as they are light-weighted.